Tumours are not only made of tumour cells. Instead, tumours, especially solid tumours, such as pancreatic and breast tumours, are surrounded by non-cancerous cells, called stromal cells, that include immune cells and fibroblasts and form what is known as the tumour stroma. 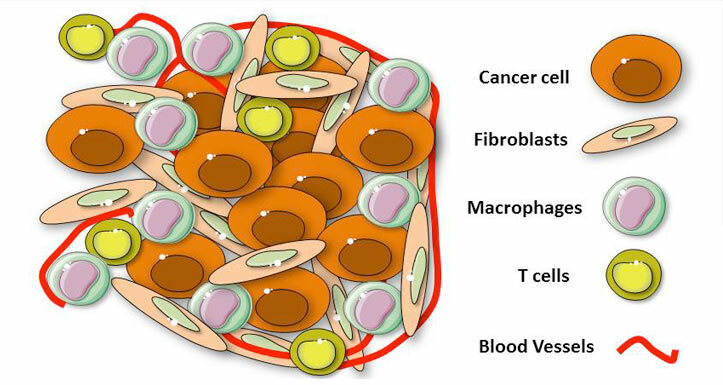 Stromal cells can have opposite functions, and either inhibit or support tumour progression. However, the mechanisms by which stromal cells support cancer progression are not completely understood. Our research focuses on understanding the complex interactions between tumour cells and stromal cells in order to identify new combination treatments targeting both the tumour cells and the tumour supporting functions of the tumour microenvironment. View a short video, introduced by Dr Ainhoa Mielgo, describing the research carried out in her laboratory. We envision a future where anti-cancer treatments are effective, targeted, personalised and affordable. Understanding how tumour-host interactions affect cancer progression and resistance to therapies, in order to find better treatments for cancer. Our mission is to serve the society through scientific research and teaching. We are a research teaching team and our aim is to train and inspire the next generation of cancer researchers. Our overall goal is to find effective combination treatments that target both the cancer cells and the non-malignant surrounding cells (also known as stromal cells) that support the cancer cells. In order to find more effective treatments for cancer, we first need to understand how cancer cells and stromal cells interact and communicate with each other. Finding which signalling networks are activated within the tumour microenvironment and identify those that support cancer progression could lead to the development of more effective treatments. We have a list of common questions about the role of the pancreas, macrophages, fibroblasts etc. If you have any specific questions please let us know. An estimated 168.1 million years of healthy life are lost due to cancer every year. Lung cancer (19% of all cancer deaths; 1.6 million people). 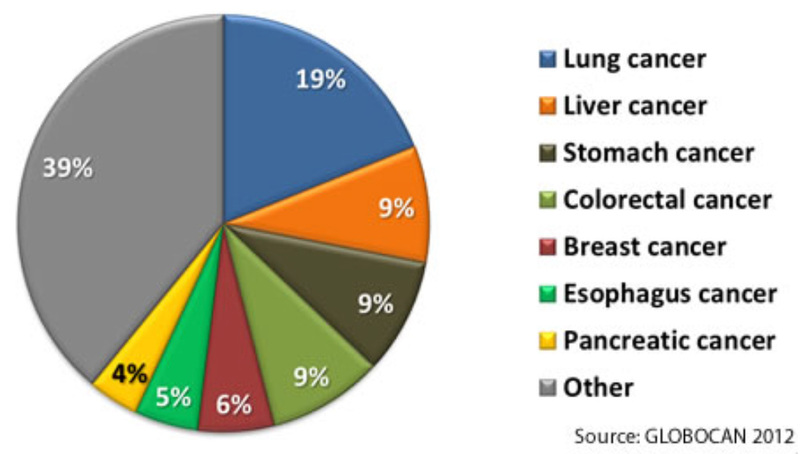 Liver cancer (9% of all cancer deaths; 745,000 people). Stomach cancer (9% of all cancer deaths; 723,000 people). Colorectal cancer (9% of all cancer deaths; 694,000 people). Breast cancer (6% of all cancer deaths; 522,000 people). Cancer of the esophagus (5% of all cancers diagnosed; 400,000 people). Pancreas cancer (4% of all cancers diagnosed; 330,000 people).